The huge number of parliamentary hopefuls vying to represent Kabul province, where around one-fifth of Afghanistan's population lives, is the highest of anywhere in the country. 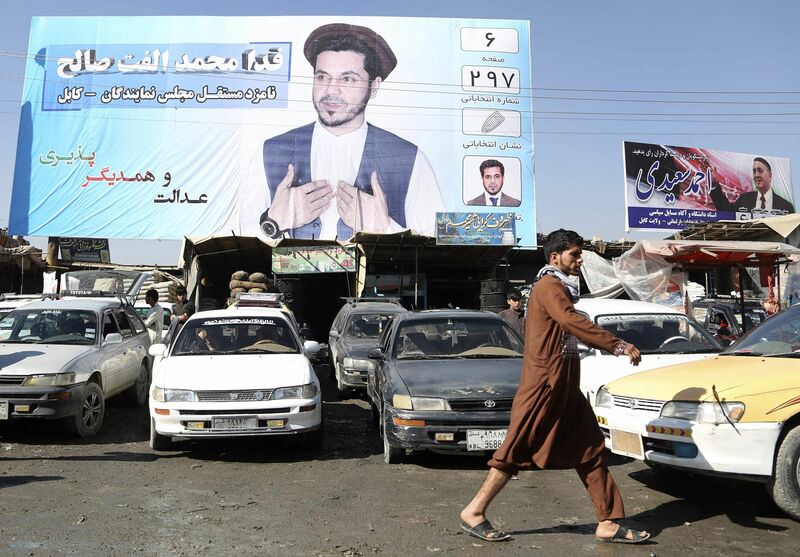 The candidates account for almost a third of the more than 2,500 people contesting long-delayed elections for Afghanistan's lower house, or Wolesi Jirga. Each voter can only choose one candidate, but finding them on Kabul's giant ballot paper, which is roughly the size of a tabloid newspaper, could be time consuming. Militants have vowed to target the ballot and those organising it, calling the polls a "malicious American conspiracy". To make the process easier and faster for voters, candidates are advertising their numerical position and ballot page number -- along with their often digitally enhanced photos -- on campaign posters on lamp posts, billboards and blast walls around the province. 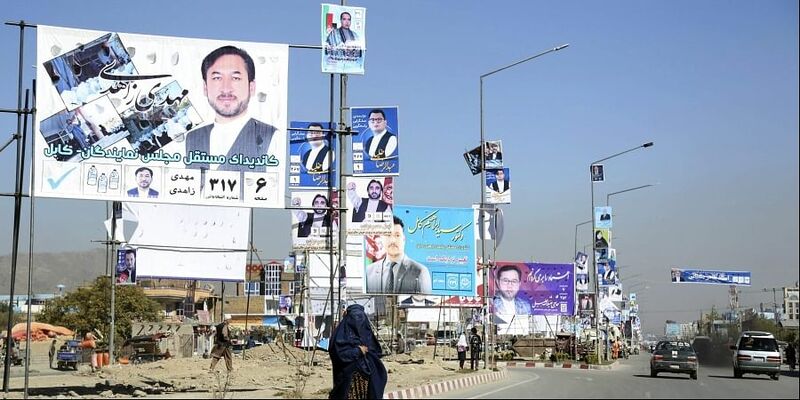 With lofty promises of pushing for "change", "justice" and even making "streets from gold, schools from diamonds and universities from emeralds", candidates are locked in a fierce battle for the 33 seats allocated to Kabul. More than 1.6 million votes are up for grabs -- more than any other province -- according to Independent Election Commission (IEC) voter registration data. Biometric verification machines designed to prevent people voting more than once are scheduled to be used -- but there are fears these may not arrive at polling centres in time, or fail to work. Despite the unusual size of Kabul's ballot paper -- and the potential for hundreds of thousands of votes to be cast -- Hashimi said regular boxes would be used to collect ballots on election day. "We have around six million people (in Kabul) -- it is very populated," Hashimi told AFP. "If the boxes fill up, we have reserve boxes."